The Barnyard Theatre is returning to Durban with the launch of its new venue at the renowned SUNCOAST Casino Hotels & Entertainment – a member of the prestigious Tsogo Sun Group. The planned opening date is 12 December 2018 and bookings go live 29 June 2018. SUNCOAST and Barnyard have excellent synergies and both parties look forward to a long-term, mutually beneficial relationship. This will be the third Barnyard Theatre to open at a Tsogo Sun Entertainment destination, following the opening of Silverstar and Gold Reef City Barnyard Theatres. The SUNCOAST Barnyard will be under new management and will fall within the same ownership umbrella as the rest of the venues currently in the Barnyard Group (not franchised). Durbanites can look forward to an excellent show experience and the same wooden interior and casual seating-style that creates the distinct ambiance, unique to the Barnyard Theatre. The Barnyard Group is passionate about local artists and musicians and entertaining audiences across South Africa. They are extremely excited to return to Durban with an incredible show line-up, including new Barnyard Productions as well as local bands and comedians. The new Barnyard Theatre Suncoast will include an in-house catering division with pizzas, snack baskets, platters, buffet options and more for sale to patrons attending shows. This unique theatre experience provides the perfect night out with live entertainment for couples, families and friends. The Barnyard Theatres are also ideal for birthday parties, fundraising events, corporate functions, client entertainment, day conferencing and more. This exquisite new venue will launch on 12 December with their highly acclaimed, hit show – Big Top Rock. 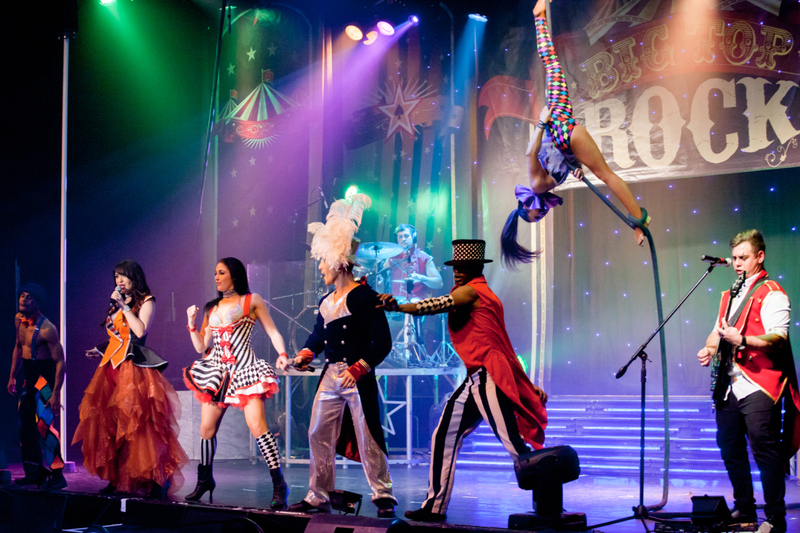 Get ready for the ultimate rock ‘n roll circus show, a fusion of live rock music and breath-taking acrobatic acts. Sundays, 14:00, R130pp, plus Pensioners 50% OFF, plus *Kids under 12 FREE *two kids per paying, full price – adult. Kidz Rock presents a brand new fantastic show called Shut Up & Dance – paying tribute to the greatest dance hits. Shut Up & Dance features a live band with three dancers and three singers getting the party started! The show features music by Justin Bieber, Shawn Mendes, Selena Gomez, Meghan Trainor, DNCE, Bruno Mars, The Weeknd, OMI and many more.